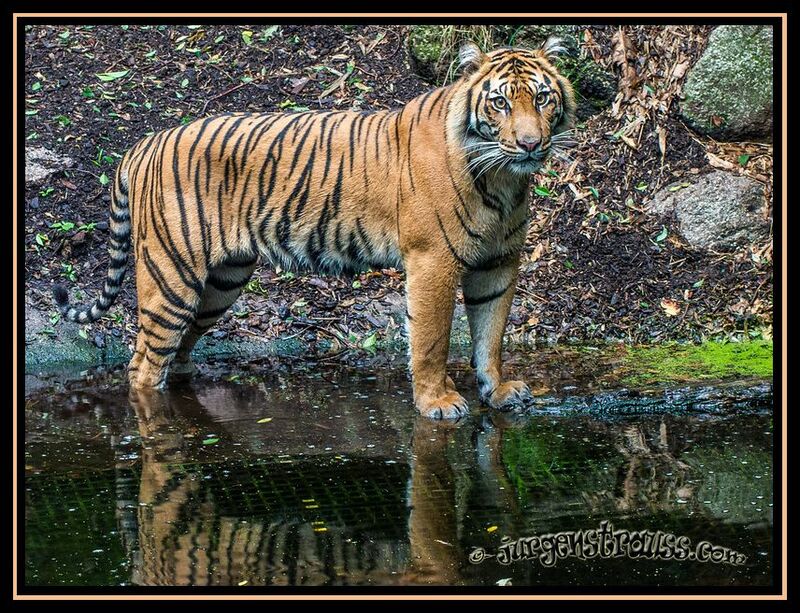 Indrah - Tiger at Melbourne Zoo. Late in March, I visited the Melbourne Zoo early on a lovely autumn morning. As a Zoo member, I was able to enter the Zoo prior to the general public. As a result, everything was very quiet and the animals were still quite active. 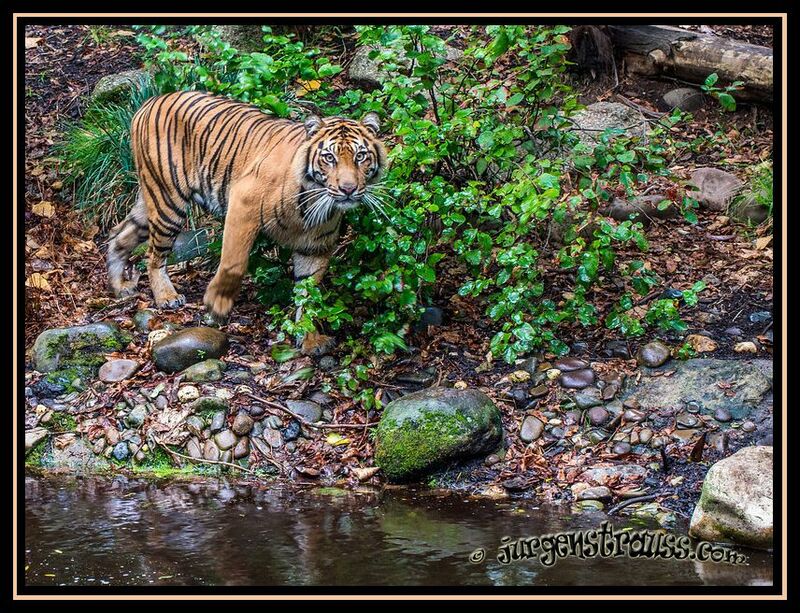 This is Indrah, the young female Sumatran tiger at Melbourne Zoo, who seemed to be really keen to play with me. Or was she just hungry, pre-breakfast? Apparently, Tigers are proficient swimmers and can cross rivers that are 7–8 km wide without any difficulty - oops, this little creek was only about 5 m wide! Photographed with: Olympus Pen EP-3, with Olympus M.Zuiko Digital ED 60 mm f2.8 lens set at f2.8, 1/15 exposure ISO 640. 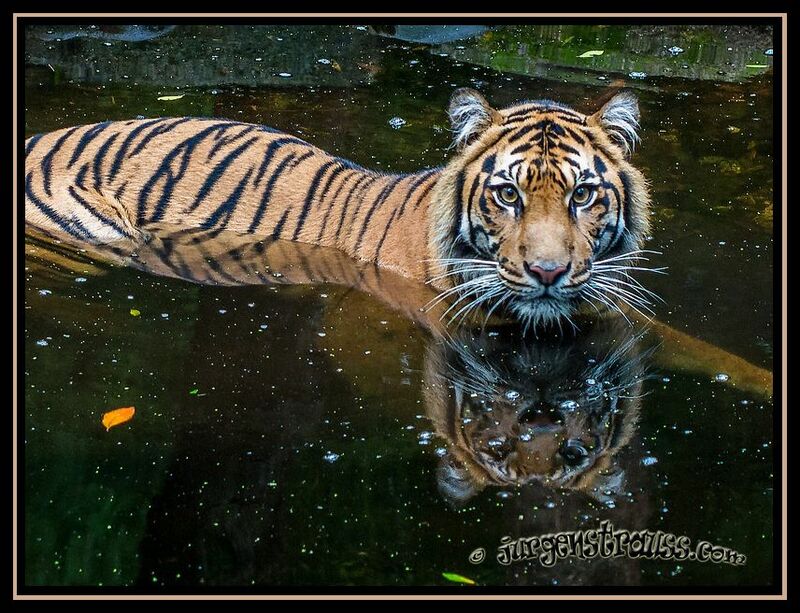 Great photos of the tiger. I liked the one where she was swimming most.